20% OFF UNTIL CHRISTMAS! 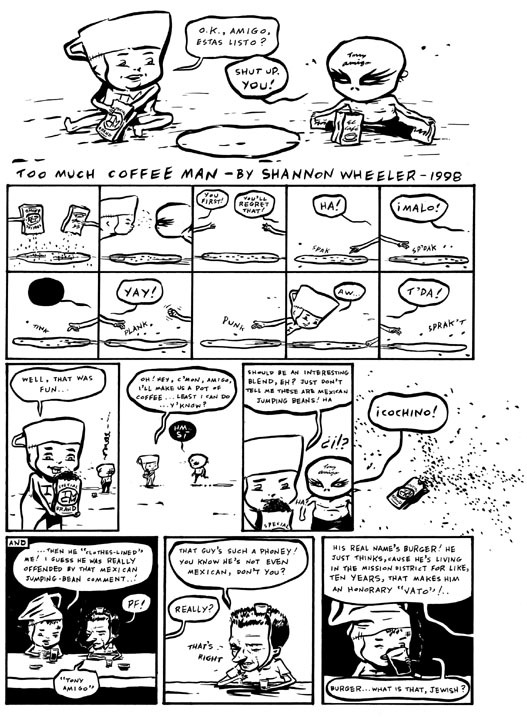 Back cover from "Too Much Coffee Man" #8(?). Commisioned by Ms. Wheeler himself! @ 10 x 15" (just like the pros), ink/paper (that's right, man).